Our faith itself, though it be the bond of our union with Christ through which we receive all His blessings, is not our saviour. 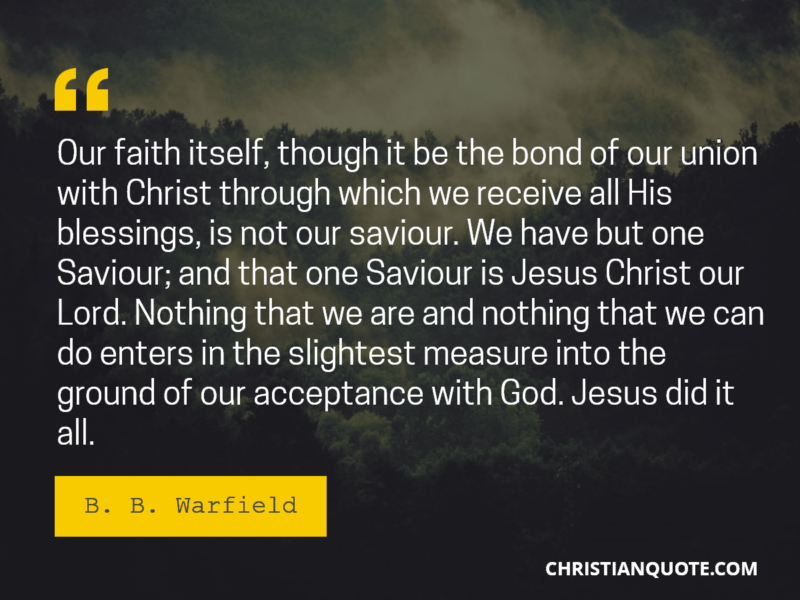 We have but one Saviour; and that one Saviour is Jesus Christ our Lord. Nothing that we are and nothing that we can do enters in the slightest measure into the ground of our acceptance with God. Jesus did it all.